Born in 1992 in Brussels. Lives and Works between Brussels and Hoeilaart, Belgium. Studied photography and cinematography at HELB (Brussels), followed by a Masters at the Royal Academy of Fine Arts in Brussels. 2015: 1st joint show at the Brussels parliament. 2016: Exhibition of his series Dysphoria at Atelier 340 (Brussels). 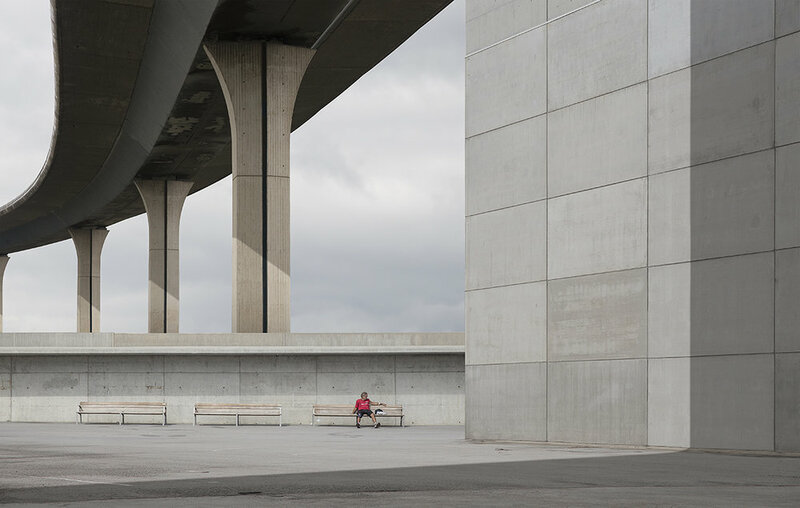 After his studies, Benjamin Baltus developed a passion for architectural photography, which has become the focus of his entire work. In the space between reality and fiction, the photographs in his new series Rebuilt are constructed around an approach based on the urban myths which influence and shape our society. This involves a critical observation and an architectural imagination. His work is an analysis of this type of landscape and its characteristics. 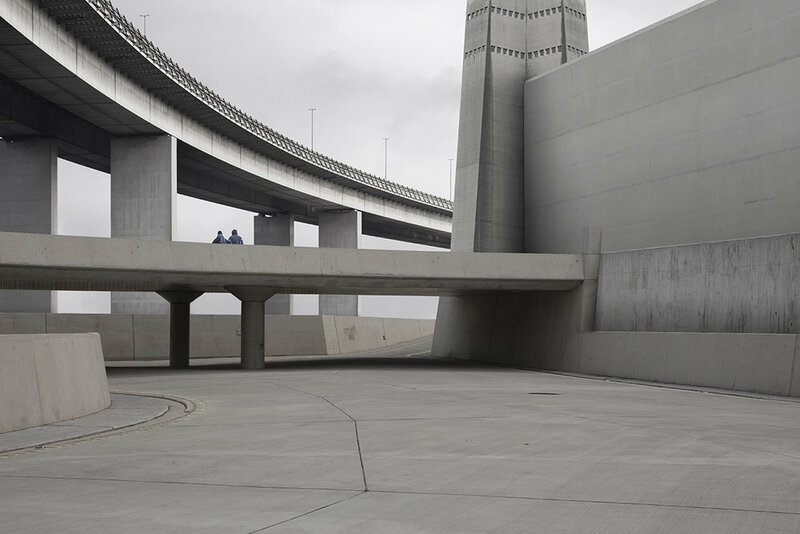 Benjamin Baltus narrates a timeless present occupied by monumental constructions which generate the idea of a potential future, through fascination and/or fear. Man appears here fortuitously, as if he is walking between buildings which imprison him. There is some doubt as to the truthfulness of the images and this invites us to take a closer look at these disturbing constructions, between maquettes and sculptures.